There are about 9 festivals in the Chinese calendar. Of all festivals in the country, Qing ming happens to be my best festival. Mostly because I get to reflect and renew myself. Furthermore, my extended family from all over the world unite with us to commemorate this occasion. Over the years, I’ve learnt that my ancestors are an essential aspect of my life. If you have been to China around 4th April of Chinese calendar you may have seen people burning paper money. The sky is also full of kites and the people are sweeping the tomb and you were probably wondering what was going on. This article will teach you all you need to know about the festival. The Qingming festival is also referred to as Ching ming festival (or qing ming jie in Chin), pure brightness feast or tomb sweeping day. It is a day that was set aside to honor our departed souls. It’s also a time when you honor your past in a spirit of celebration. This festival dates back to duke wen’s time when he set aside 3 days to mourn Jie Zitui. The Qingming festival usually comes on the 15th day after the spring equinox. On the Chinese solar calendar, this is the 2nd of 24 solar terms that can fall between April 4th – April 6th. There are three theories about the beginning of the only spring season festival. Some legends say that there was an emperor by the name HuangTi whose birthday was on April 5thand he lived about 4700 years ago. During his time, he set the day aside to worship their ancestors. The second theory indicates that in the ancient time, each year has 24 solar terms. The QingMing appears around the 5thof April and that is where it gets its name from. Another theory is where over 2200 years ago an emperor by the name LiuBang paid tribute to his parents at around the same time. One time, he couldn’t find their gravestones because the weed and grass had grown over them. So, he took papers and threw them on the sky asking them to fall where the gravestone was and they did. 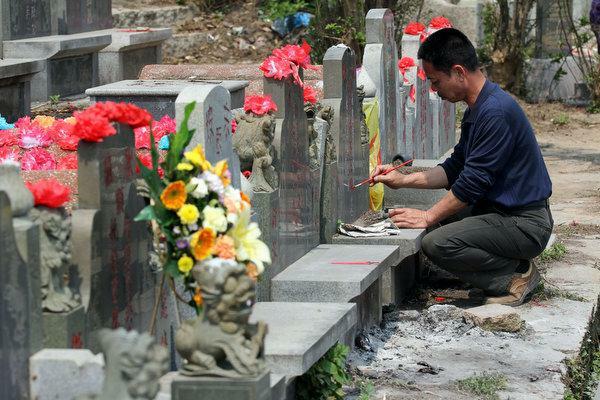 From then people began celebrating Qingming festival. Albeit, you can’t separate the Hanshi day and Qingming. Majorly because the Qingming festival actually replaced the Hanshi day. Since all of the above are also theories, it’s possible that this is yet another theory that explains the beginning of Qingming. 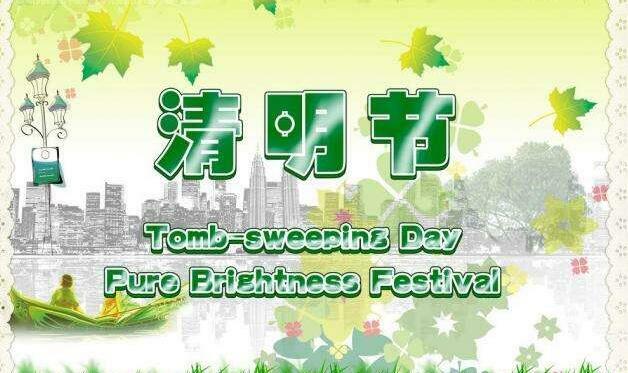 Did you know that most of the customs of Qingming festival are based on the Hanshi day customs? HOW DID THE HANSHI DAY COME ABOUT? The Hanshi day is the Memorial Day of Jie Zitui and it occurs 105 days after the winter season. Qingming day was celebrated right after the Hanshi day. Although, in the modern day the Qingming day has replaced the Hanshi day. The origin is a story of 2 friends, one was to become a duke and the other his servant. One day during Duke Wen’s 19 years of exile they had been so hungry in the wild. Jie though of an easy way to feed them so he cut a piece of his thigh flesh and made some soup. They ate and enjoyed the meal. After the duke had eaten and was satisfied, he asked Jie where he found the delicacy. Jie told him it was his flesh and this really touched the Duke that he promised to reward him. This two later went apart from each other since Jie was not so concerned with the reward. One day, however, the Duke remembered the act of kindness and wanted to move Jie from the mountain where he was living with his mom. The soldiers were sent to go look for him but they couldn’t get him so they were ordered to burn the forest in a bid to make Jie flee the forest. Unfortunately, the fire killed Jie and the mom. 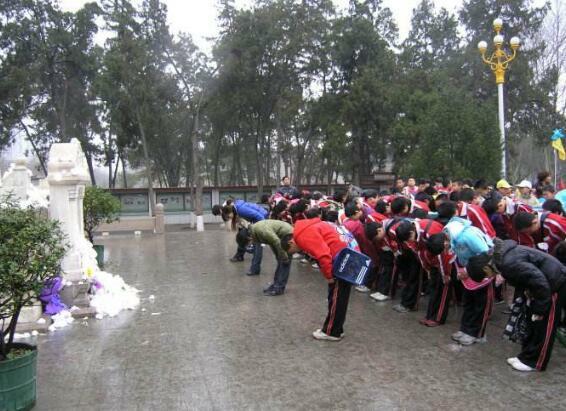 Out of remorse, the Duke announced a 3 day of mourning to honor Jie’s memory. That was the beginning of Hanshi day and no fire was to be lit. since Hanshi day occurred a day before Qingming day, it was later replaced by the Qingming festival which maintained the Hanshi practices. In the ancient days, the festival was about tomb sweeping, hiking and kite flying. While the festival has become a more commercial day and a time to enjoy the spring it has also maintained its tradition of tomb sweeping, hiking and kite flying. It is necessary to note that the occasion is balanced between sadness, happiness, death and rebirth. This day is basically about families taking care of their ancestors. The tomb sweeping is the major ritual of this day. This is done by visiting the gravesite, weeding, sweeping and presenting flowers and food or paper money. Tomb sweeping can be divided into Pei mu and Gua Zhi. These are 2 distinct practices. Sharing your rice cakes for good fortune. 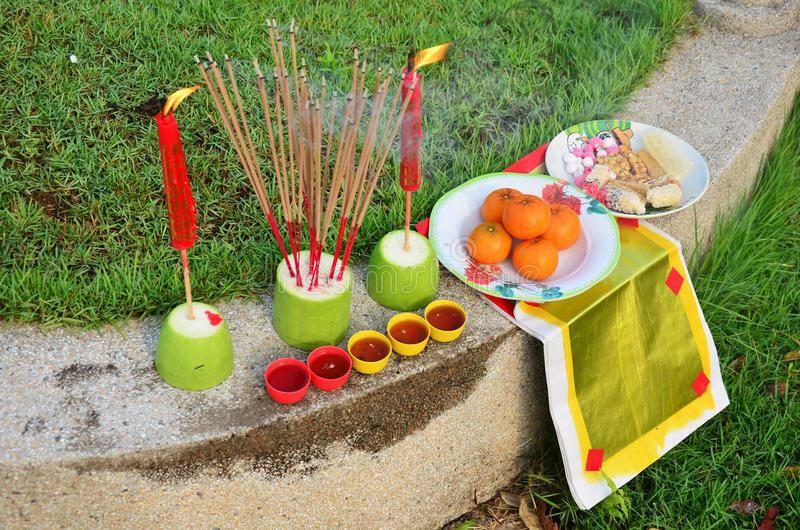 The Chinese people believed that the festival offerings convey material comfort while the presence of material things like cars and money provide luxury to those who may not have acquired them in their lifetime. So, on this day you will see the family members sweep the tomb then make offerings for what is sometimes perceived to be the ancestor’s favorite food, wine and tea. They also burn incense. Since this is a vital day in the Chinese calendar, the Chinese people from all over the world travel to their homeland to join other family members for the ancestral worship. It is fair to say that this is the most important root-seeking festival in all the tribes of the world. The process is straightforward where we make offerings, perform kowtows and burn incense as well as joss papers. The beauty of this day is that it involves the celebration of life, beauty and renewal season. Most people opt to fly kites at night. In addition, you could go for outdoor activities which involve picnics, sports or planting. This is a time for a family gathering to remember the ancestor’s favorite tales. Willows are known to sprout at the beginning of the Qingming festivals. They are therefore called Qingming willows. In some parts of the country, the people use the opportunity to plant the willow cuttings. 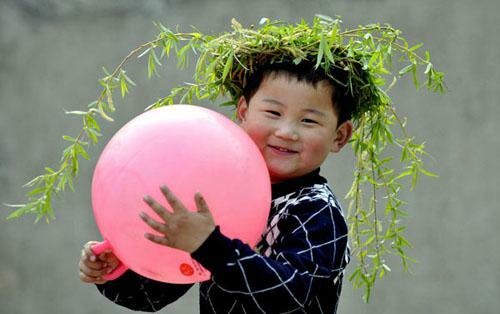 Some people wear the willow leaves on their heads. Placing the willows on the gate is another common activity on this day. This is done to move evil spirits that may be hovering around during the festival. The willows are influenced by the Buddhist religion. This is also called Taqing festival. 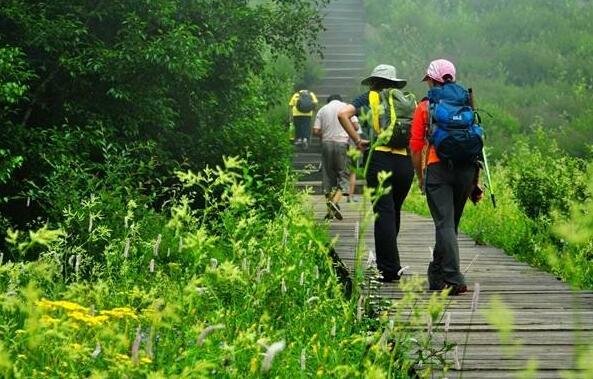 Taqing in our language means a spring outing. 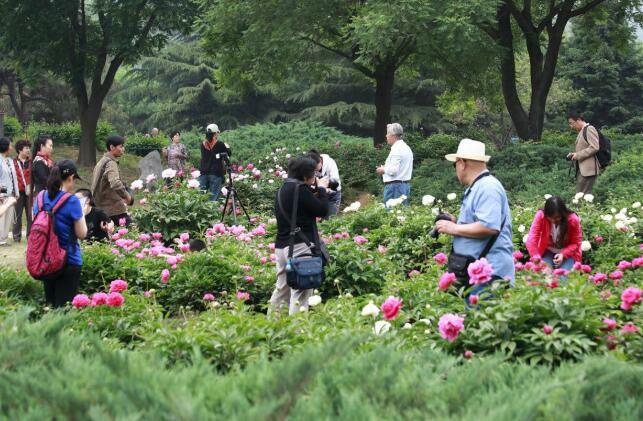 As the name suggest spring outing, the people get out and enjoy the blossoming of spring. This usually marks the day when people begin spending the day outdoors since the weather gets warmer. There are various games to be payed during the festivals. The traditional game of egg collision: this is where children knock boiled eggs against each other and when one person’s egg cracks they lose the game. This is common in Heze in Shandong province. Polo: the sport is common during Qingming and the good news is that even girls are allowed to play. Take part in archery competition: this is more like shooting willow trees. You can play with the swings: now, this is the most common game for the girls during the festivals. CuJu: this is the modern Chinese soccer. Cockfighting: this is a form of gambling. Both men and women can participate in it. Tug of war is another game that’s played as a form of competition and exercise. This is a must-do during the festival. They can be flown during the day or at night. But, if you fly the kites at night you must tie colored lantern on the string. They then look like many other shining stars. Once these kites are flown up the sky, a line is usually cut to signify the releasing of bad luck and illness in the family. Note that, kite flying is done all over the country from big to small squares and villages to towns. You will most definitely find paper kites lying on the ground the next day. Apart from planting willows, we are called upon to plant more trees since spring season is the most suitable time for planting. Other people not only paint eggs and then eat the eggs as a form of cherishing lives, they also carve eggs. Lastly, the granting of fire is still a practice that is vital. It began when the emperors could grant fire to his subjects after the cold food day. This has been practised even at home where the elderly grant fire to the young ones. Note that, in the ancient days, fire was only used to burn incense and paper money. Food was prepared about 2-3 days before the festival began. There are a few people who still practice this while others just cook. The different places within the country eat different kinds of food during this season. However, below are the common ones used for the festival. These green sticky rice balls are commonly found in Yangtze river as well as Shanghai. They are round and contain sweet fillings. 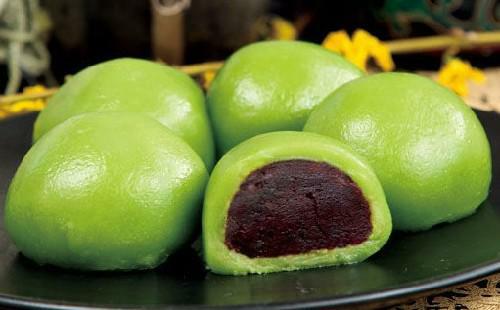 It’s made by taking sticky rice flour and dyeing it with ground vegetable juice then rolling it into balls. Depending on where you are eating the Qingtuan you can be creative with the filling. 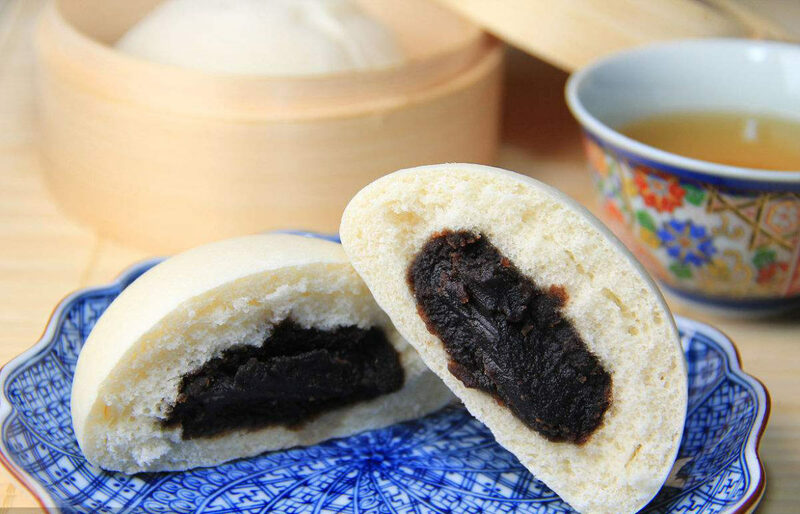 However, sweet bean paste that is mixed with lard is popularly used. This is the most important meal for this festival because they are served for the offerings and enjoyed on outings. It is also referred to as Sanzi or Hanju. It’s a Chinese fast food that requires no reheating. Sanzi is the twisted noodle rings. The noodles are shaped and then fried in oil. 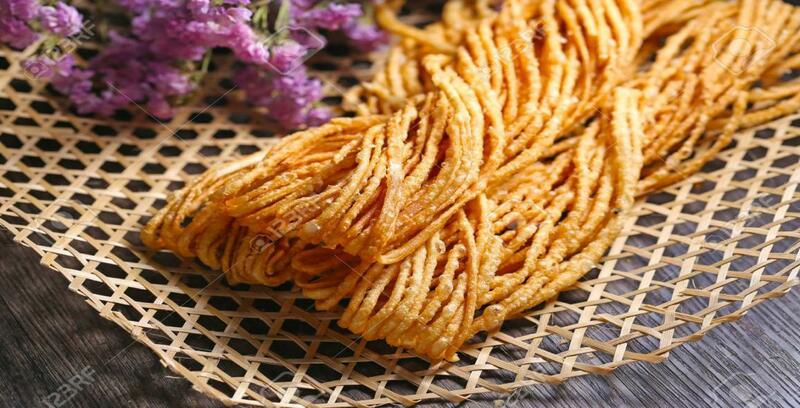 Sanzi is made using wheat flour in North China but rice flour is used in South China. The government burnt the use of fire during the festival and after that most people adopted the use of boiled eggs to commemorate the Qingming festivals. You only need to decorate the eggs then gift them to your friends during the festivals. Check out the Salted duck eggs recipe. 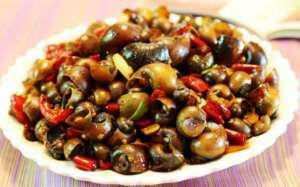 This is a dish that is cooked using snails, onions, ginger, soy sauce, cooking wine and sugar. You use fresh peach, rice and blossom to cook it. 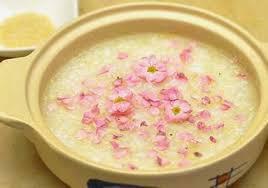 It is prepared by boiling the Chinese rice, peach blossom and some wolfberries in a crock pot and adding sugar. When it is Qingming Festival, my mom always makes buns. After I learn the methods about how to make all kinds of buns, it is my time to make the buns. Check out these recipes for buns. This is basically a soft wrapping around vegetables and meats. It’s common during the Qingming festivals. This is a street food which you will see a day or two before the festival begins. 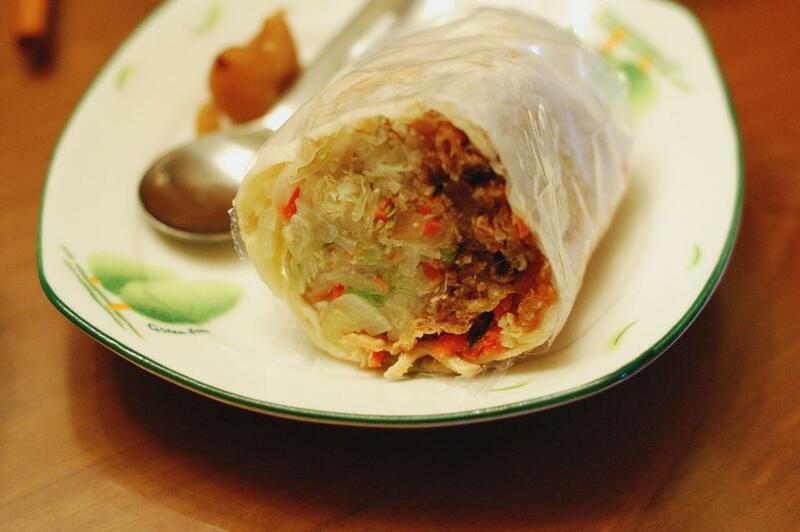 Making it requires you to have a freshly spread roll wrapper, white sugar and groundnut powder, egg strips, pork with green garlic, shredded pork with green garlic, celery, shrimp red cabbages, bean sprouts, dried bean curd, lima beans, grated cucumber among others. The Qingming festival is still an essential festival in the country because, on that day, we get to unite with our loved ones. If you are the curious type then this will be a good time to learn about your ancestors as well as learn to respect the elderly. But most of all, you are taught how to love yourself and seize your now moment.